or by appointment, please call the parish office. 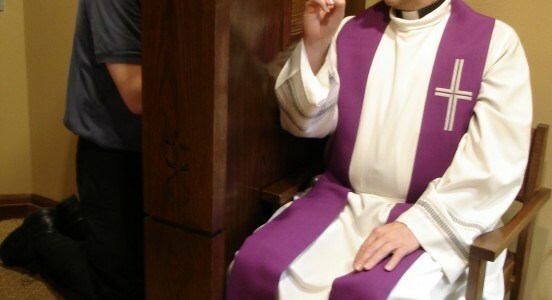 Preparation and celebration of the Sacrament of Reconciliation precedes First Communion and requires regular attendance in Faith Formation classes.This sacrament is usually celebrated in the second grade. Contact our Parish Catechetical Leader for more information. to do penance, and to amend my life.